A decent primer, if one is needed. 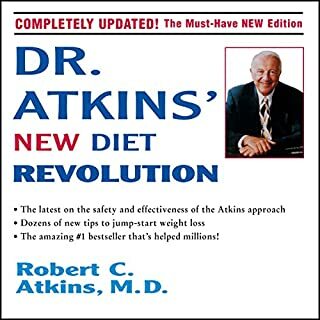 What did you like best about The Atkins Essentials? What did you like least? I wasn't strict enough with my attempt. I needed it. Would you be willing to try another book from Atkins Health and Medical Information Services ? Why or why not? This is kinda salesy for their other products. 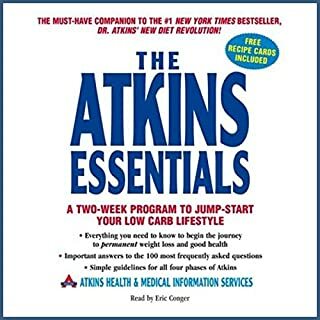 Do you think The Atkins Essentials needs a follow-up book? Why or why not? No, it was written after its follow-up. As a diabetic, this is a good diet for me. I think that audio is a good way to take in a diet book. Just sit and listen, easier even when you don't really want to. 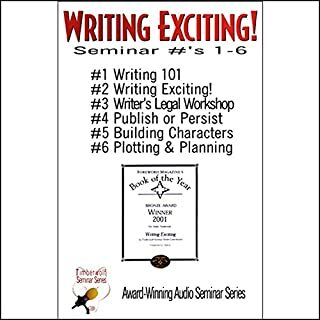 Timberwolf Press presents an exciting series of writer's workshops and panels, designed to educate, motivate, and enlighten both the novice writer and the experienced author. These panels are conducted by Timberwolf's experienced publishers, editors, authors, legal counsel, and guest panel members. Hear it straight from the publishing industry insiders. It is not called that when you download it. A few low-level CO-authors of text books (not on writing) and other insurance industry technical work. They do not shed any insight into what an aspiring author like myself was looking for. NOT AT ALL Exciting. You are in trouble if you turn to an author of a text book on re-insurance for your excitement inducing content. The author merely ties together material from interviews and 30,000 pages of declassified documents. He does this quite well. As a longtime Petagon coresondent, he had access. Any good writer who made the commitment to read and write about those 30,000 pages would have been interesting. This guy knew the names of the generals and even colonels and lower in the docs; for every interesting tidbit in them, he has an interview to expand on it. He puts the whole thing together well from what you can tell was more than a pile of info. When America was attacked on 9/11, its citizens almost unanimously rallied behind its new, untested president as he went to war. What they didn't know at the time was that the Bush administration's highest priority was not to vanquish Al Qaeda, but to consolidate its own power at any cost. It was a mission that could be accomplished only by a propaganda presidency in which reality was steadily replaced by a scenario of the White House's own invention. This is a subject matter for which people in the know have published a shelf full of books jam-packed with content. "Greatest Story" is a stylistic REVIEW from the famed Times Critic. 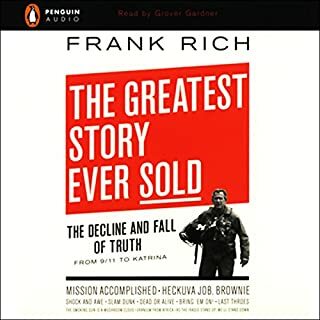 You can hear chapters about how "Chicago" won the Oscar during the war, and what similarities that films plot has to the the image selling of the war by the administration. Rich knows about as much as a media critic would know about the Iraq war. If you have read three or four other books on the subject, you know more than that. 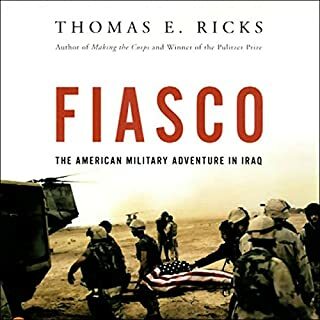 If you are reading the recent Fiasco, Against all Enemies, and Woodward's offerings on the subject, style without content seemed to be unnecessary within the Iraq War Genre. Jerry Lewis has had a great career financially. But he was the biggest thing in showbix with Dino, and known as a B-movie stooge afterwards. Those days ended 49 yeas ago, but Jerry longs for them. At times it seems that his cronological narrative has little to talk about. Then he can dig into retelling Dino inspecting his (Jerry's) itchy crotch to find crabs (seriously). 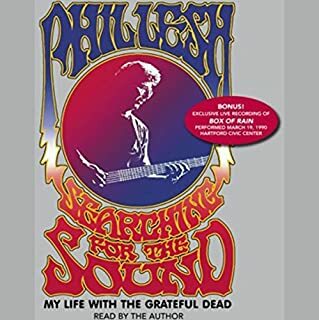 90% of the book is about their years together 1946-56 so there is not a lot about the stuff that most big fans of Dean's are fans of his because of. As a huge fan of Dean's, I like the backstory. 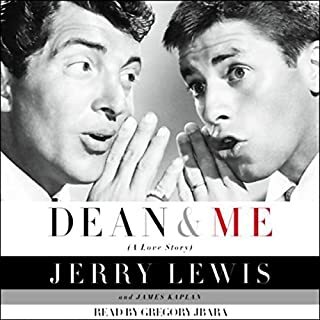 If you are old enough, you will hear great stories of the Martin and Lewis years. But if you want to go the the video store and see them now, ....sorry. It is clear that their magic was in nightclub performance, which made them so famous that they got to make a bunch of mediocre movies. Those movies are what you will rent, not the real magic. It is interesting to hear this in his voice. He, really personalizes the experience.